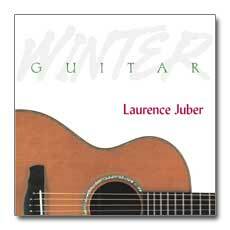 10 years in the making...the follow up to our all time most popular CD and top 10 in the all time Acoustic Guitar Magazine list....LJ Plays the Beatles by Laurence Juber... Vol. 2 is here!! We also are thrilled to announce he is working on the transcriptions and we have made an agreement with Hal Leonard to publish a matching folio/book and that its now available !!! 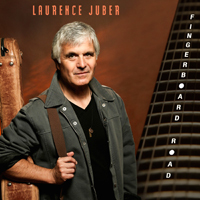 Listening to former Wings guitarist Laurence Juber play guitar is a real delight. Hearing him play Beatle songs is icing on the cake. LJ Plays the Beatles Vol. 2 starts off with a joyful version of "Penny Lane" that bounces with each note. Following is a very serious rendition of "Eleanor Rigby" that shows that Juber can also shift moods easily. The tone of the record shifts back and forth between light ("Drive My Car", "When I'm Sixty-Four"), somber ("Here There & Everywhere"), beautiful ("Michelle," "The Long & Winding Road," "Blackbird", "Dear Prudence", "All I've Got To Do") and straightahead ("I Feel Fine", "You Can't Do That", "Please Please Me"). "LJ Plays the Beatles Vol. 2" is just more proof that the greatness of the Beatles crossed musical boundaries here, there and everywhere and that Juber excels at taking listeners down those roads. Guitarists from Chet Atkins to Ralph Towner have mined the Beatles catalog since the groupâ€™s worldwide breakout in 1963-64. 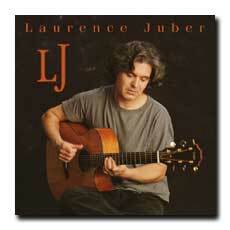 Starting out as a teenager, Laurence Juber has been doing just that from the earliest days of Beatlemania. Itâ€™s fair to say that Juber now dominates the field of solo guitar interpretations of the Beatles' music. Most of his arrangements on this second "LJ Plays the Beatles" collection utilize DADGAD tuning and take advantage of its close intervals. This is an important element of Juberâ€™s arranging style, as it facilitates the placing of melodies in the guitarâ€™s midrange, thereby leaving headroom in the higher registers for embellishments, variations and improvisation. My favorites on this disc are "Penny Lane", "Eleanor Rigby", "Michelle", "Blackbird", "I am the Walrus", and "The Long and Winding Road". On several of these tunes he captures key elements of the original recordings, including the piccolo trumpet solo on "Penny Lane" and "Eleanor Rigby's" string quartet. LJ highly personalizes both "Michelle" and "Blackbird", reaching new heights as an interpreter and providing guitarists with insight into reimagining the original, iconic arrangements, on which many guitarists cut their teeth as novice fingertylists. "I am the Walrus" captures the ominous mood of the original, almost alarming so. Juberâ€™s surprisingly understated readings of the rockers, "You Canâ€™t Do That," "I Feel Fine, and "No Reply," show his willingness to take risks in order to engage the listener (much as he did several years ago with his slowed-down, jazzy version of "Canâ€™t Buy Me Love." The lack of any George Harrison songs in this set seemed, at first, puzzling. The explanation is that a companion transcription folio to this CD entitled "LJ Plays Lennon & McCartney" is in the works by Hal Leonard Publishing, so George Harrison fans will have to wait a little longer for LJ's promised recorded version of "Something." 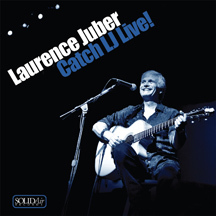 If such wasnâ€™t already apparent, Laurence Juber has redefined solo acoustic guitar playing. I attribute this equally to three elements of his approach: arranging skill, a deep understanding of DADGAD tuning, and willingness to present popular songs. And letâ€™s not forget his prodigious workload. 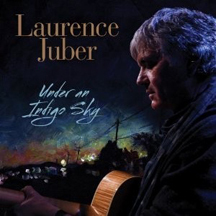 If youâ€™re already familiar with Juberâ€™s music, you donâ€™t need convincing. 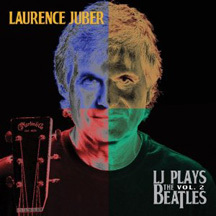 If you donâ€™t know Laurence Juber, then "LJ Plays the Beatles, Vol. 2" is a fine introduction to his masterful interpretive skills. This product was added to our catalog on Sunday 11 July, 2010.